Still making my way through the Create a Critter cartridge. 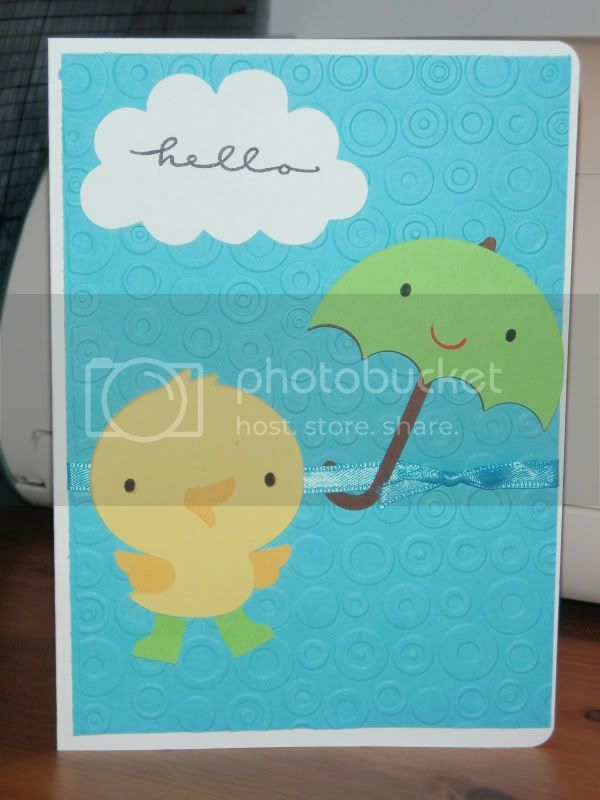 Since it rained for most of the day, I thought this card was appropriate. Love my new embossing folders, too! 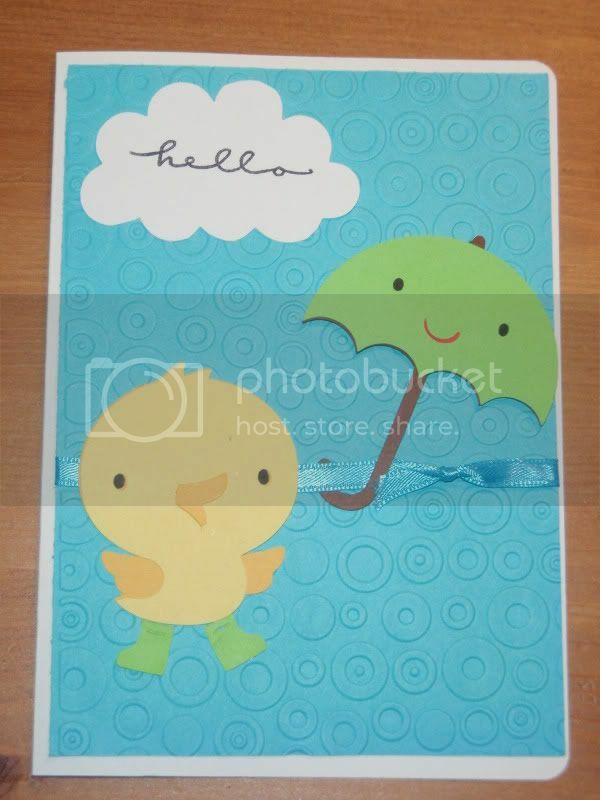 - Cardstock cut at 4.75 x 6.75"
- Duck and umbrella, found on p. 31 of the Create a Critter cartridge, cut at 3"
- Cloud is the cupcake top found on p. 36, cut at 2.5"